The main duties of the Grants Department are to develop, prepare, and submit grant proposals to federal, state and local agencies for the various departments of Laramie County. The Grants Manager also has to manage and keep in compliance with various grants including, report writing, file maintenance, compliance monitoring, preparation for payment of grant expenditures and tracking of grant revenues. The Grants Department researches various grant opportunities and tries to match these up with specific County goals and projects. We work with all local jurisdictions and special districts in the coordination of acquiring and managing grant funds. Grants are a crucial supplement to Laramie County operations. Grant funds allow us the opportunity to undertake projects that benefit our community's infrastructure, safety and livelihood. 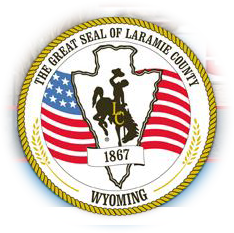 Laramie County applies for and receives Federal, State and Local grants for activities ranging from Homeland Security and victim services to road construction and economic development.